ATLANTA - Sept. 16, 2017 - PRLog -- Award winning artist Jacqueline Doyle Allison announced today that she has created a new series of paintings titled "Luminous." 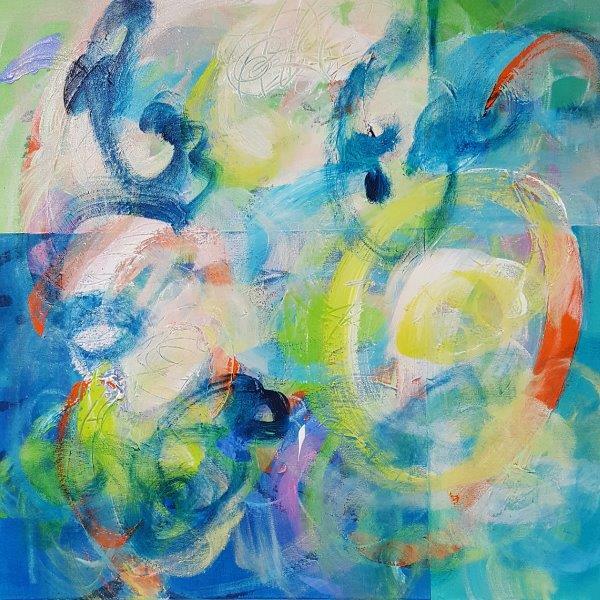 Jacqueline Doyle Allison is a Georgia artist who is known for her colorful and dynamic abstract paintings. Jacqueline Doyle Allison lives and creates her art in metro Atlanta and the Mountains of North Georgia and has been an artist in the region for almost 20 years. Regarding this series Allison stated "Along with many around the world this summer, I was entranced by The Great American Eclipse which traversed the entire United States from Oregon to South Carolina and passed through my home state of Georgia. I was lucky enough to be in the path of this solar event and see a 98% eclipse from a beautiful lake in the North Georgia Mountains. This monumental experience clearly had an unanticipated impact on my painting and influenced the title and subject matter of this new series." Jacqueline Doyle Allison lives and works in metro Atlanta and the Mountains of North Georgia. Her artwork resides in corporate and private collections across the United States. She is represented exclusively by Markay Gallery in Marietta, Georgia and has shown in numerous group and solo exhibitions. Her website can be found at www.jacquelineallison.com and she also can be reached at jacquelineallison@att.net.